When there is risk, there must be choice. Seems like a simple freedom that is a fundamental right in the United States of America. Yet, there are those who seek to deny our freedoms over our body and that of our children. California was the latest state to take away the right of the parents to choose whether or not to inject their children with known toxins. Vaccine law proponents will argue this law does not force you to vaccinate your child. Just they can’t go to school without them. But what if you are a single mother who cannot home-school? That woman is effectively forced to vaccinate. The Supreme Court has called vaccines “unavoidably unsafe.” The package insert of a vaccine contains a lengthy list of warnings and side effects. VAERS, the government’s adverse events reporting system, is overloaded with reports. Most importantly, there are thousands of parents who claim their child is vaccine damaged. One day the child was normal, the next day they weren’t. These complaints are swept aside as coincidence or labeled as normal behavior. These parents know better. What kind of system mandates a medical treatment such as vaccines, but allows no recourse to the injured? In short, due to federal law, a vaccine-injured person cannot sue a vaccine manufacturer or doctor. Therefore, vaccine standards can be lax and a doctor need not seek informed consent prior to injection. 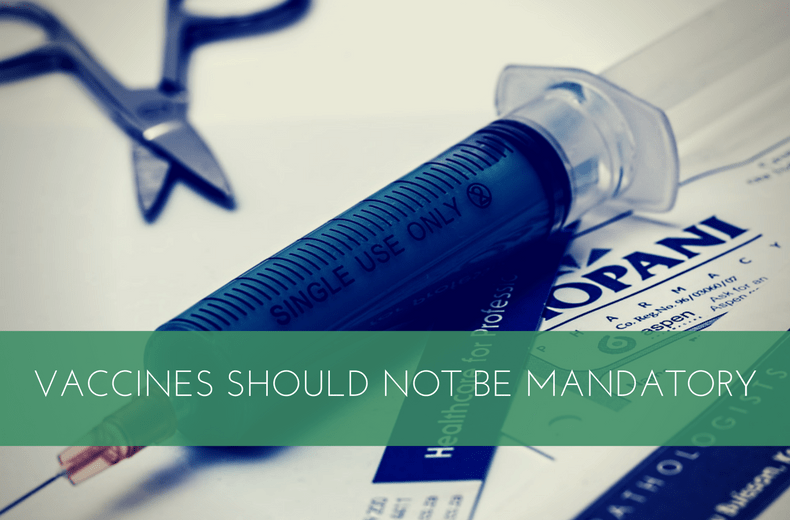 If vaccines were so beneficial, why do we have to mandate? 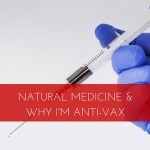 If vaccines, work so well, why worry about my child? Your vaccinated child is supposedly protected from the dreaded chicken pox. I write this last sentence with obvious sarcasm. I remember the chicken pox parties and look back at my bout with this virus very fondly actually. Maybe priming my immune system with this virus protects me against cancer, heart disease, and dementia. We don’t know. What we do know is that there has never been a randomized trial on 69 doses of 16 vaccines versus placebo. In fact, most vaccines have been very poorly studied. The hepatitis B vaccine is given to newborn babies. We are injecting a billion, billion aluminum atoms into a newborn….three times. All to supposedly protect against a virus contracted by IV drug users and those who sleep with prostitutes. You say that there are children who cannot get vaccinated because they are immune compromised. My children needs to take one for the team. I think not. The number ONE job of a parent is to protect their child. I protect mine the way I see fit, you protect yours. Has it ever occurred to the parents of the child with cancer that it was the vaccine that caused the cancer? You ask for studies proving harm? They are out there. Check my website, TheDrsWolfson.com. The sad truth is that research is funded by Big Pharma. 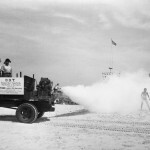 Funding for research contrary to the vaccine machine would dry up like a glass of water in the desert. The government must not be allowed to force this agenda. The government is the puppet to the corporate master. Big Pharma wants these laws instituted so the money train rolls on and the patient can do nothing about it except swallow this bitter medicine. Do we want to live in a society where medical treatment is mandated? Should it not be my choice whether or not I want to take a cholesterol lowering drug or an aspirin? Must I receive chemotherapy and radiation if I develop cancer? An adult mandatory vaccine schedule will be next. Prove you received a flu shot or you will not be eligible for Social Security or Medicare. 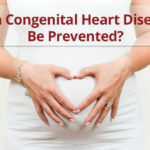 Can Congenital Heart Disease Be Prevented?